The introduction of the Jaguar Mk X sparked almost as much interest as the E-Type. 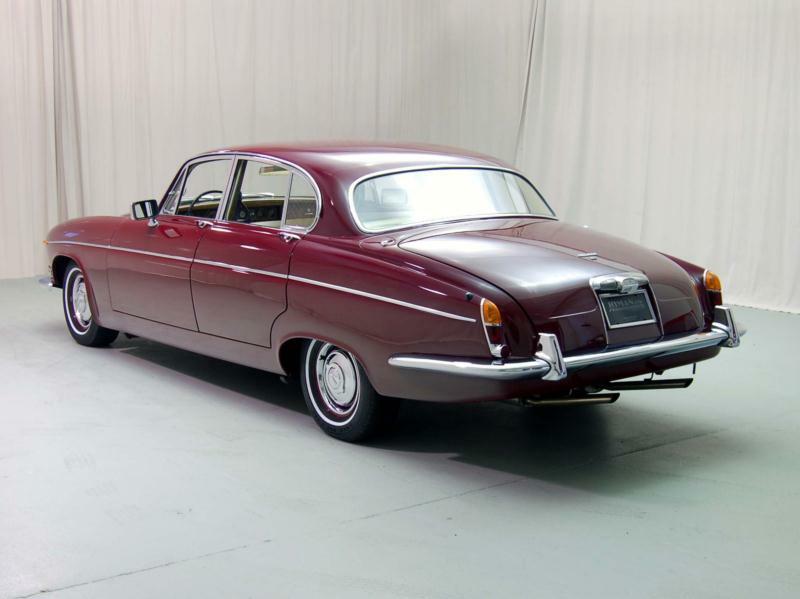 It was a dramatic looking rear-wheel-drive, 5/6 seater that was the successor to the Jaguar Mk IX with de Dion independent rears suspension in a separate sub-frame (a first for a Browns Lane saloon), disc brakes front and rear, and the E-Type’s 3.8-liter XK engine that allowed for a 120 mph top speed. Naturally, the interior was finished with a forest’s worth of timber and the massive unitary body was largest made in the UK at that time. Best of all, Jaguar’s new flagship saloon came at a very reasonable price. The Jaguar Mk X could be ordered with a 4-speed manual box with or without overdrive or with a 3-speed automatic. Handling was enhanced by a ‘Powr-Lok’ limited slip differential. Inside there were rear picnic tables, the front seats reclined, the steering column was adjustable, and there was a vacuum-controlled heating system. 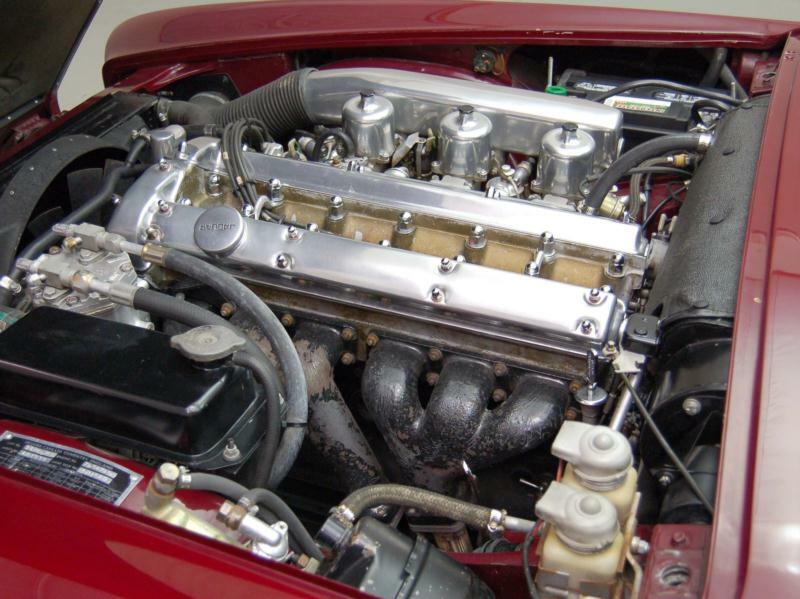 In 1964 Jaguar offered the Mk with the enlarged 4.2-liter version of the XK engine (the 3.8-litre engine continued to be available until 1965) for it to compete against V-8-powered rivals in the US. A Girling system with a vacuum servo replaced the Dunlop brakes, and there was an alternator instead of a dynamo plus a much improved manual gear change. The automatic transmission was also uprated. The Mk X 4.2’s top speed was 122 mph. The 1965 model year also saw the Jaguar Mk X available as a limousine with a sliding glass division, although only 42 examples were built. 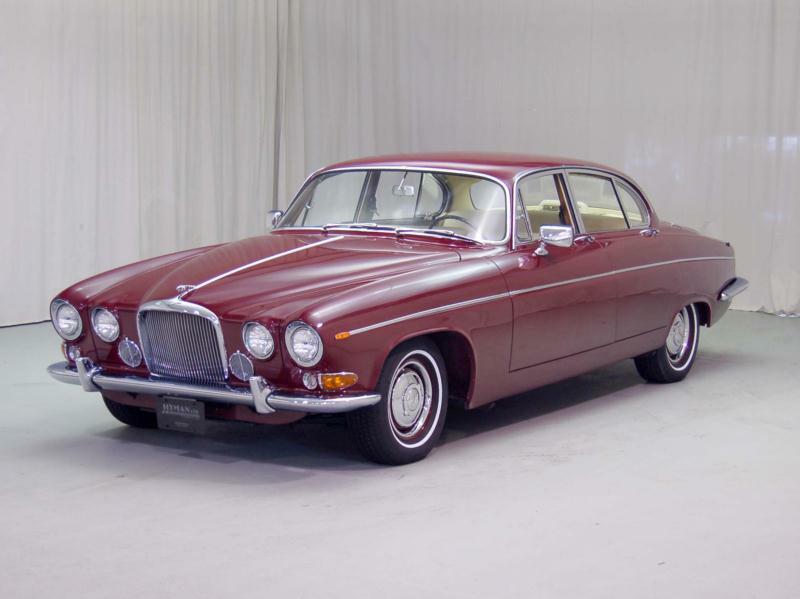 In October 1966 Jaguar’s flagship saloon was rebadged as the 420G (for ‘Grand’). These are distinguished by their divided radiator grilles, padded fascia, side indicator lights, a range of two-tone paint finishes and chrome side-stripes on single tone versions. Air conditioning also became an optional extra. During the 1960s Jaguar also experimented with a V-12 and a Daimler 4.5-litre V-8, both of which were reputed to be ferociously fast. 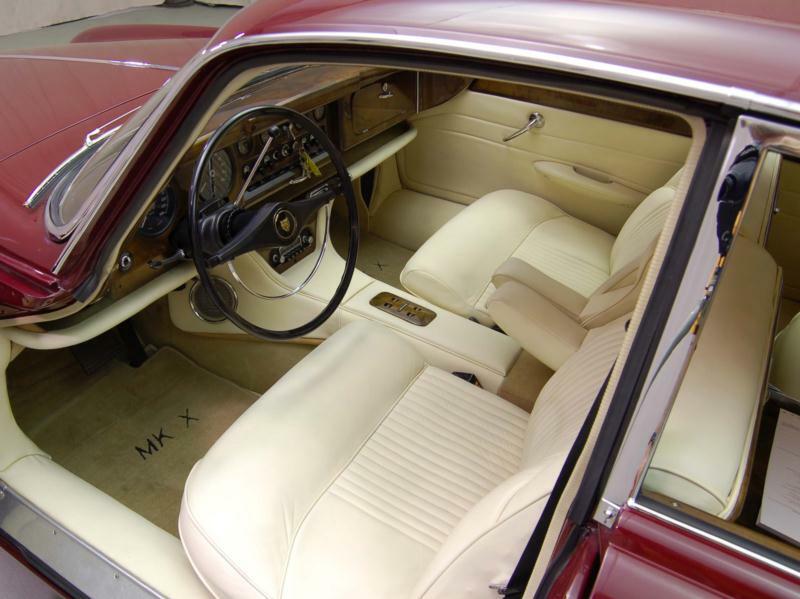 Neither entered production, but the Mk X’s floorplan did form the basis of the 1968 Daimler DS420. Production of the 420G ceased in June 1970. The Jaguar Mk X is a cruiser par excellence. The manual box is quite easy to use, but the automatic really complements the Mk X’s appeal. Although it looks (and is) huge, the Jaguar has the road manners of a much smaller car and the steering is incredibly light in a 1960s Detroit fashion. Attempts at spirited cornering are often limited by the Mk X’s sheer width and the occupants sliding across the leather-trimmed benches. Some enthusiasts regard the 3.8-litre engine as more overly sporting, but all versions of the Mk X can offer magnificent motoring. Tired rear springs, bushes and dampers are common problems on Jaguar Mk Xs and 420Gs, as are oil leaks from the rear crank seal and cylinder head corrosion. 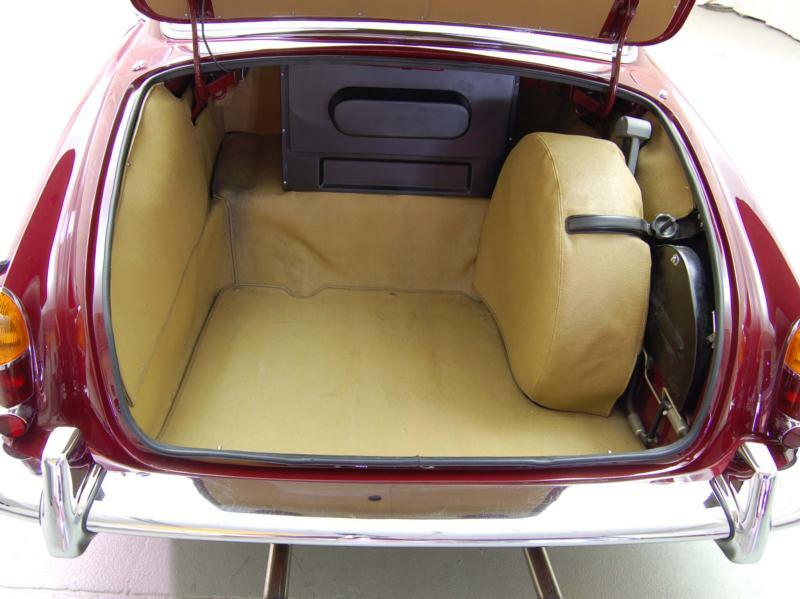 Rust can be very prevalent around the floor, suspension pick-up points and the radiator cross-member, while a tired interior can mean a huge refurbishment bill.